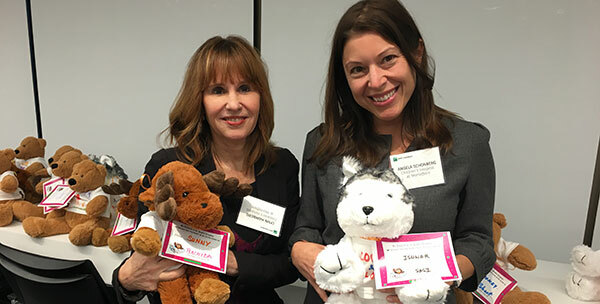 CHAM recently received over 100 handmade stuffed teddy bears as the result of a philanthropic team-building event hosted by BNP Paribas. The international banking group paired with Impact 4 Good, a specialized service provider helping companies plan team building activities to meet their philanthropic visions, in this endeavor. BNP Paribas’ generosity benefited some of our city’s most deserving children through two programming areas: the J.E. and Z.B. Butler Center for Children and Families, which supports life-enhancing opportunities for at-risk and underserved individuals and families through partnerships with community-based organizations; and the Montefiore Home Care and Nurse-Family Partnership Program, a home visiting program designed to help low-income mothers and children. Please contact the Office of Development at 718-920-6656 to find out how your company can make a similar donation.